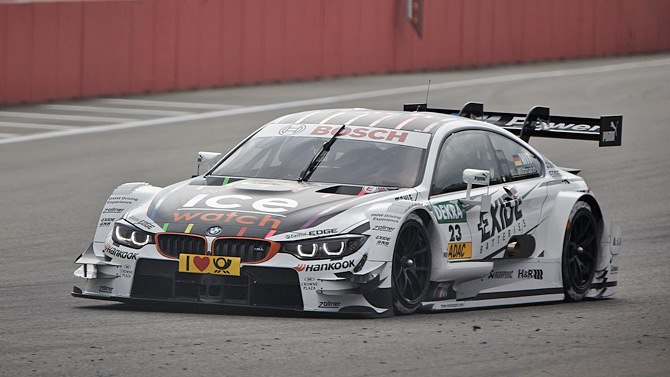 After nearly 20 years of absence from the sport, BMW made its comeback to DTM in 2013 to claim both the drivers and the constructors titles in their first attempt. But the Bavarian automaker is here to stay and apparently is off to yet another promising season by claiming victory at the Hockenheim Ring's season opener. BMW driver DTM, Marco Wittman drove the M4 DTM to its first win of the season yesterday in front of the two Audis of Mattias Ekström and Adrien Tambay. Mercedes, on the other hand, was struggling with the best placed C-class coupe driven by Pascal Wehrlein arriving in 11th position. Next stop will be Motorsport Arena Oschersleben. Come back for more DTM news!